We love movies. In our (almost) 30 years of marriage (as of next Tuesday), we’ve been to a LOT of movies. Before kids, with kids, after kids, it’s amazing how many shows we’ve enjoyed with each other. Just a few weeks ago, we saw ‘Lincoln’ with Daniel Day-Lewis on a Sunday afternoon with Jean’s Dad, Bill. As students of history (okay, maybe not STUDENTS, but we all enjoy history) the movie was excellent and the acting superb. Watching Lewis reminded us of another of his recent roles, this time in ‘No Country For Old Men’ starring as an oil wildcatter. . .everything this man (Daniel Day-Lewis) touches turns to gold! When you factor in movies at the theater, movies on pay-per-view, movies on regular cable and movies on network television. . .oh, and then there’s ‘Blockbuster Video’, ‘Hollywood Video’, Best Buy, Red Box. . .and so many others that have come and gone, we watch A LOT of movies. And, within those movies are some terrific actors and actresses. Who can forget Harrison Ford as Indiana Jones in the original, ‘Raiders of the Lost Ark’? Classic stuff. And, speaking of ‘Stuff’, how about Ed Harris in ‘The Right Stuff’? How about Sam Neill in the original, ‘Jurassic Park’? Or Carrie Fisher in the first, ‘Star Wars’? So many terrific actors, actresses, directors and producers. . .when you stop for a moment, you realize how much we’ve been entertained over the past 35-40 years. These don’t even begin to recognize the classic black and white films when Hollywood was in its ‘heyday’. Movies provide an escape but they also provide a history. They offer hope and dreams and deliver reality and disappointment. They are the way that we can escape everyday living for a chance at what it was like growing up in Greenbow, Alabama–like Forrest Gump! Tonight’s wine is–for us–inspired by a movie with Nicholas Cage, Ed Harris, Sean Connery and John Spencer (yeah, he spent some time on L.A. Law) –“The Rock”. This movie debuted in June of 1996 and in case you’ve been asleep for the past 17 years, here’s the deal from IMDb. . .”A renegade general and his group of U.S. Marines take over Alcatraz and threaten San Francisco Bay with biological weapons. A chemical weapons specialist and the only man to have ever escaped from the Rock attempt to prevent chaos.” If you’ve seen the movie, you have to love it–really good acting, action and cinematography. If you haven’t seen the movie, shame on you–go rent it NOW!!! Cage is believable as Stanley Goodspeed, Connery is his usual masterful self and Ed Harris, well he’s one of those actors who NEVER gives a bad performance. We’d go see him on stage let alone on a movie screen—Harris is the consummate pro! Oh, the wine. . . sorry, we got sidetracked–you know–getting all excited about that action movie!!! Tonight we opened a 2010 The Rock Cabernet Sauvignon from Paso Robles, California. This wine is somewhat of a recluse. . .you can’t find it on the internet. Your can’t find with any reviews, and you can’t find it with any additional assistance! In other words, it DOESN’T exist–go watch ‘No Country For Old Men’ and see what we mean. It’s a GREAT film. On the other hand, the wine is something completely different. We LOVED the color, it’s a deep dark color–no light body wine here–dense, thick and fruity. We immediately were immersed in fruit–dark fruit–blackberries, blueberries, cranberries and a leathery nose that was captivating. The taste, while just a bit strong–too much kerosene–was long and tasty. It was reminiscent of other Cabs we’ve tasted that cost more and tasted less! At less than $15 a bottle, you’re NOT going to set the world on fire with this wine, BUT you will grow to like it as a decent alternative to its more expensive cousins! Why Not? You deserve a nice wine at a nice price without sacrificing the farm. 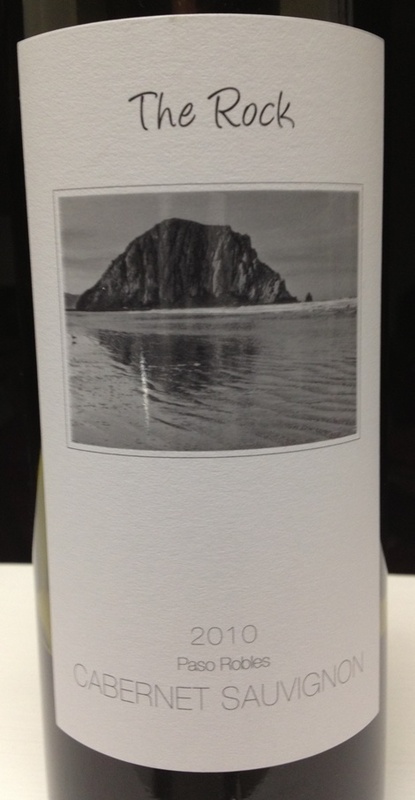 For a young wine, The Rock, exceeds expectations. It reminds us of a good movie; you buy a ticket and have zero expectations, and then 1/4 of the way into the movie–you’re hooked! The Rock did that to us. Whether you like movies, watch them with any regularity or could care less, so much of what we do, think and say is motivated by movies we’ve seen. It’s not only a great way to pass the time and be entertained, but it’s also a great way to deal with ‘Mother Nature’–why deal with cold temperatures, wet conditions, hot and humid or worse when you could be at the movie theater! Whether you love comedies, romances, action or horror, you’ll have to agree that going to the movies is a great way to spend 2-4 hours of your time. And, with an increasing frequency, you can enjoy your favorite wine at the movie theater–but remember to enjoy it responsibly–so you don’t miss the picture–and recycle whenever possible!! Categories: Uncategorized | Tags: 2010 The Rock, Alcatraz, Daniel Day Lewis, Ed Harris, Lincoln, Nicholas Cage, Paso Robles, Sean Connery | Permalink.